By far, one of the most popular choices for rooms to remodel for our local customers is the bathroom. There are a plethora of great reasons to change and update the bathrooms in your home, and when you decide that it’s time to do so, you want to make sure you contact the Rolling Meadows remodeling contractors at Best Home Renovations, your Remodeling Contractor, to tackle the job. We have years of experience providing high quality bathroom remodels for all of our customers in the local area, and we never leave a job half finished. Our customers know that when they call our team of professionals, the job is going to get done, and get done right the first time through. For many years, the trend among homeowners was to treat the bathroom as a sort of forgotten room of necessity. It was there, but tended to be ignored for the most part until it was needed. Times are changing, however. There are a world of great options available these days for bathroom remodels, so there is no reason for this room to not be as enjoyable and visually appealing as any other room in your home. There is no better way to recover from a long day than a long, relaxing soak in the tub or a nice hot shower. We work with our clients through every step of the remodeling process to make sure that your goals and your vision for your bathroom are completely realized. Our team of designers are always standing by and ready to offer advice and design suggestions to turn your bathroom into a true work of art. 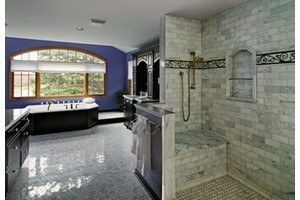 When it comes to your Rolling Meadows bathroom remodel, never settle for any less than the best. Call the team of professionals at Best Home Renovations today. The basement is probably the most versatile space in any home. While it is oftentimes relegated to the role of an underground storage shed, the possibilities for this space are virtually limitless. Are you looking for extra space to add a guest bedroom or two? Adding carpet and putting up a couple walls is a great way to add the extra rooms your home needs without having to build an addition onto your house. The basement can also be finished to serve as a wonderful play area for the kids or a great social hangout spot for your family and friends. The options are endless. 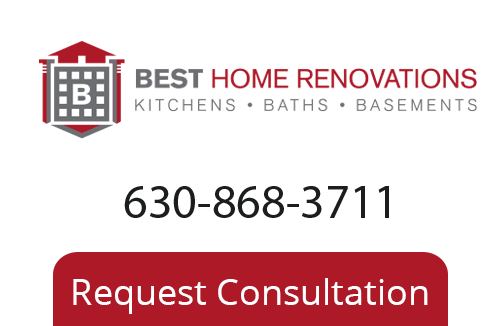 If you are looking for a home remodeling contractor in Rolling Meadows or the surrounding area, call us today at 630-868-3711 or fill out our online request form.